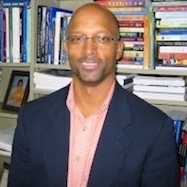 Webb's research focuses on student attitudes who attend HBCUS (Historically Black Colleges and Universities). Specific topics include racial identity, potential crime victimization, offender characteristics, and campus safety measures. His research also focuses on the efficacy of criminal/juvenile justice reform efforts in relation to disproportionate minority contact among youth/adults. Patrick R. Webb quoted in Ko Bragg, "Young Perps: The Costs of Sensationalizing Youth Crime" Jackson Free Press, November 29, 2017. "Are Youth of Color Benefiting from Juvenile Justice Reform?," Patrick R. Webb, Juvenile Justice Information Exchange, November 20, 2017. "How the Media Contribute to Disproportionate Confinement of Minority Youth," Patrick R. Webb, Juvenile Justice Information Exchange, January 25, 2017. "Media Exposure of Juvenile Court Hearings: Should the Revolution be Televised?," Patrick R. Webb, Juvenile Justice Information Exchange, September 28, 2016. "A Potential Case of Linguistic Prejudice: The Expression of Identity in 'Black and White'" The Urban Review (2017): 1-15. Identifies the extent to which speech is associate with the "acting white" stigma among HBCU students. Incapacitating the Innocent: An Investigation of Legal and Extralegal Factors Associated with the Preadjudicatory Detention of Juveniles (Universal Publishers, 2008). Explores the use and impact of legal and extra-legal factors associated with the use of pre-adjudicatory detention among youth in the United States. "Stigma and Status at an HBCU: Perceptions of Racial Authenticity among Racially Underrepresented Students in the South" (with Le'Brian Patrick and Sandra H. Sulzer). Journal of Black Studies 49, no. 2 (2018): 171-186. Examines the extent to which HBCU student characteristics are associated with the race-based stigma of "acting white."